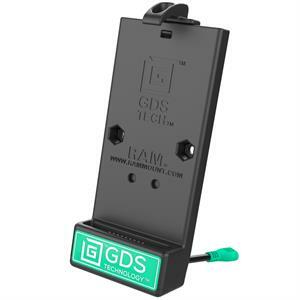 The RAM Universal Vehicle Phone Dock with GDS Technology is a spring loaded, quick release cradle that offers a secure fit with easy access to the mounted phone or phablet. This docking station is compatible with any phone or phablet wrapped in IntelliSkin. This dock is engineered to support USB Type-C™ devices and has a USB C port to connect to a power source. 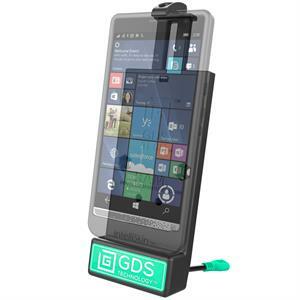 The integrated GDS Technology platform enables charging of the mounted device and safely secures the phone in a variety of vibration application. Without the need to remove the IntelliSkin from the device, the user can quickly and efficiently mount the device in the vehicle dock and keep the device charged.